On Thursday, Russia grounded it’s entire fleet of Su-27s, believed to be more than 300 planes, after a jet from the Russian acrobatic team crashed and killed the pilot. The latest incident follows a string of deadly accidents which continues to underscore Russia’s military maintenance and modernisation woes. In March, Russia withdrew the majority of their best pilots from Syria even though they had “left some important military tasks unfinished,” like encirclement of Aleppo, as Jeff White, a defence fellow at The Washington Institute for Near East Policy, told Business Insider previously. 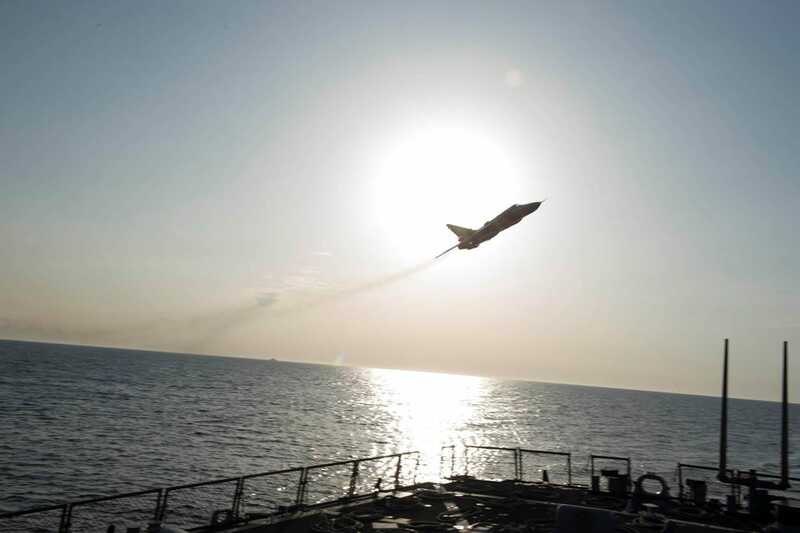 Since Russian President Vladimir Putin’s withdrawal from Syria, Russian planes have carried out a number of high profile stunts, including simulating an attack on the USS Donald Cook and pulling “top gun stunts” over a US recon plane that was performing a routine patrol over the Baltic sea in international airspace. US NavyAn Su-24 buzzes the USS Donald Cook. What’s more, Russia’s new T-50 (aka PAK FA) was seen flying over Crimea for Aviadarts, the Russian version of Red Flag, a US-led air force exercise that trains fighters in realistic scenarios. The flight of the T-50 over Crimea came off as especially brazen due to Russia’s illegal 2014 annexation of Crimea from Ukraine. And while the tactic was perfect for propaganda purposes, the jet doesn’t hold up to closer scrutiny. The fact is that the T-50, the first truly new airframe designed in Russia for some time, has been plagued by difficulties in its development. Russia routinely touts the plane as being a “fifth generation fighter,” but as IHS Jane’s notes, it’s a fifth generation fighter in name only. The design fails to adequately integrate the avionics and integrated stealth characteristics that typify true fifth generation platforms like America’s F-22 Raptor and the F-35 Lightning II. The T-50 failed to impress at a Singapore air show, and India was so unimpressed with the T-50 that they decided to shelve their version of the fighter, citing failing engines and high costs. 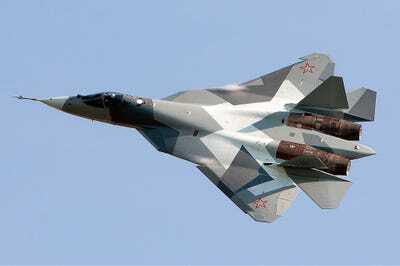 Instead, it is likely that the T-50 flying over Crimea was another flashy move done for propaganda purposes, to show that Russia has an advanced and powerful air force, despite evidence of the contrary.